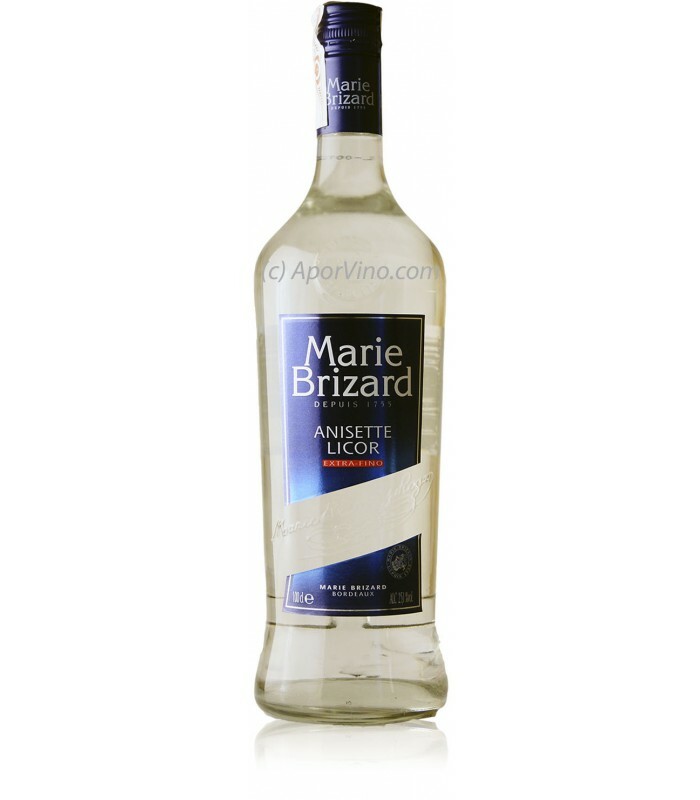 I grew up with Marie Brizard. That was my father’s go-to brand of anisette. The bottle was on the table after every dinner to sweeten our expresso. It was a low enough proof so I got to use some in my coffee too. I don’t remember too many people drinking it straight. Anisette is very sweet. Maybe an old lady who needed a drink for a toast and didn’t want anything too strong would have some. Sometimes I’d get a sip of it in a cordial glass if I had a cough or sore throat. 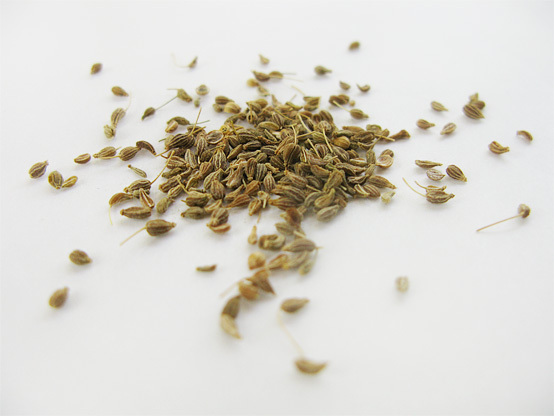 Although some people think it’s main ingredient is liquorice root, anisette is made by macerating the seeds of the anis plant in a neutral spirit. 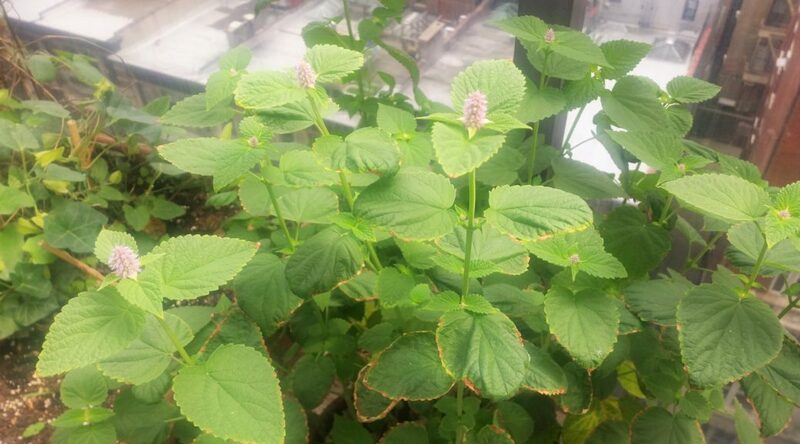 I have an anis hyssop on my balcony (see the heading photo) but I’ve never tried to gather the seeds. A friend recently suggested that I can make a passable anisette using its leaves by filling a jar have full with them, then filling it with vodka. Strain it after a month, and add sugar syrup to taste. I may try that when my plant is bigger toward the end of the summer. 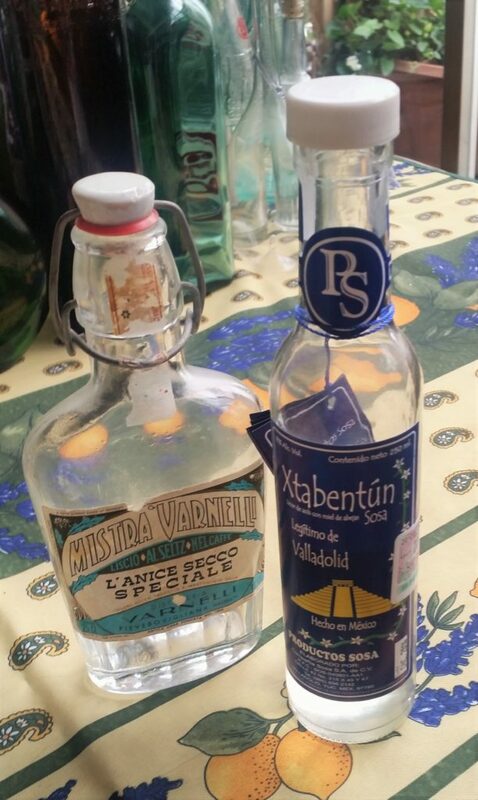 My Aunt Lena use to make her own anisette with anis essence she’d get from a local pastry shop. 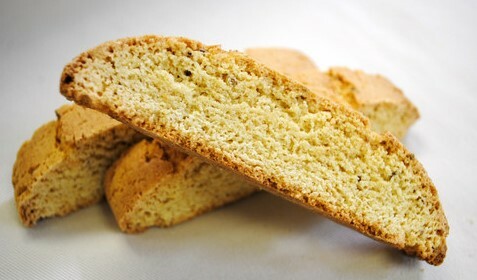 That’s a main ingredient in anisette biscotti so all the pastry shops had it. The essence would be added to black market grain alcohol and sugar syrup. She’d mix it in a big pot on her kitchen table. I remember being small enough to stand on the table to stir it with a long wooden spoon. When I was growing up, the only time I ever saw sambuca was if someone brought a bottle back from Italy. It wasn’t imported to the US back then. And as much as it tastes like anisette, sambuca is made from the elder berry plant. It’s a higher proof and is now much more common here than anisette. I still generally use Marie Brizard but when it’s available I buy Anis del Mono, a Spanish brand. I like the monkey on the label. 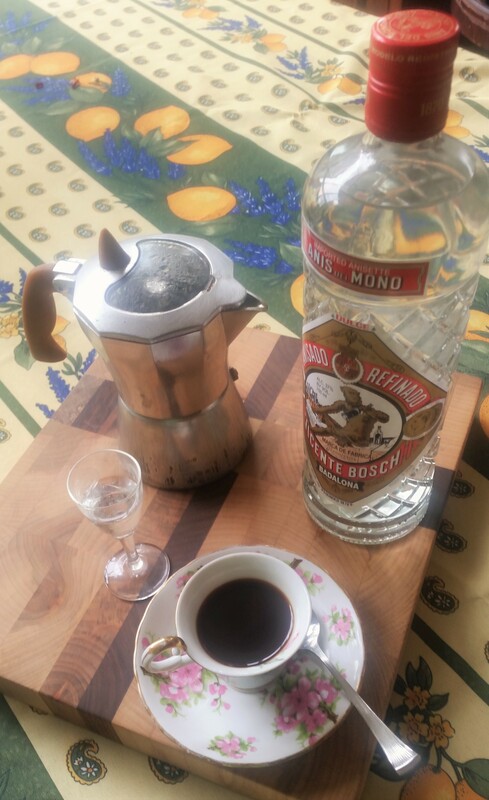 There are other anis flavored liquors made around the Mediterranean: Pernod, raki, ouzo and anazone but anisette is the best for sweetening expresso.